I really appreciate where Northstar Games is coming from with their Evolution designs. They do a great job of mixing science with fabulous art and fun mechanics. In their latest Kickstarter, Northstar is funding a new stand-alone game in the series called Oceans. As with the other Evolution games, Oceans is based on the science of an ecosystem, but this time you’re managing the biology of marine life. Unlike other games in the series, Oceans also features mythological creatures and unique power cards that add an interesting twist to the game. 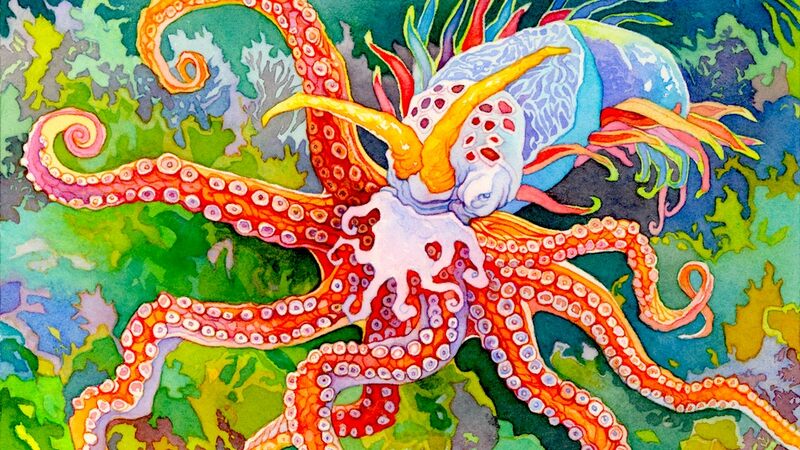 You can dive in and learn more on the Oceans Kickstarter campaign here. 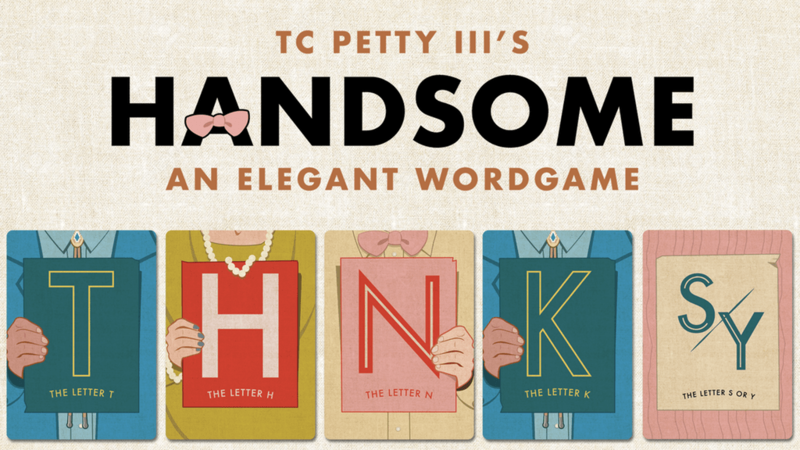 If you’re looking for a words game with a small table footprint, but that can play up to 6 players, then check out Handsome! Buttonshy Games is publishing a new wallet game that consists of only 18 cards, but undoubtedly packs a lot of fun. 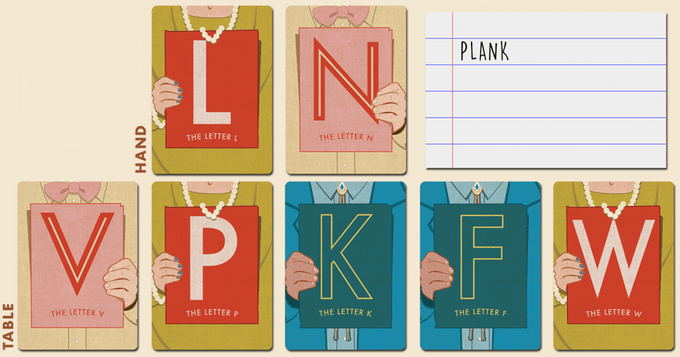 In the game you must create a word using the 5 public cards, that everyone else has access to, as well as the cards in your hand. You gain a point for having the most cards of a suit and a bonus point is awarded to the player with the longest word. The first player to reach 9 points wins! Buttonshy games are always great for throwing in your pocket in case a gaming emergency calls for spontaneous fun. Go check out Handsome here on Kickstarter. Andrew doesn’t go fishing and yet every once and a while he brings home a fishing related game, to the point that we now have a small collection of them. I think it all stems from the first time we played Fleet and he got hooked (no pun intended). 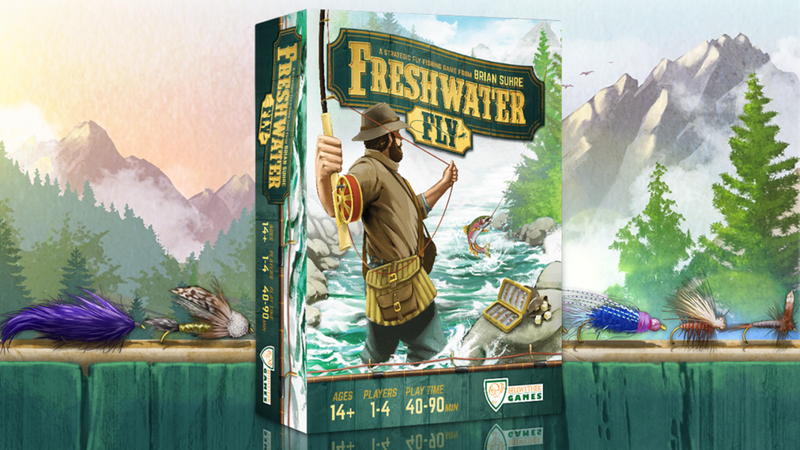 His latest find is the Kickstarter for Freshwater Fly, a press-your-luck/set-collection game about fly fishing. The aim of the game is to collect sets of fish and achieve your personal goals. Once a player catches their 7th fish the game ends and the person who has earned the most points, wins. The game has some clever mechanics including the Dice Action Reel, which is a rondel that gives you different bonuses as you draw in your line. If you enjoy dice games or have a love of fishing (or just fish in Andrew’s strange case) then check out Freshwater Fly on Kickstarter here. 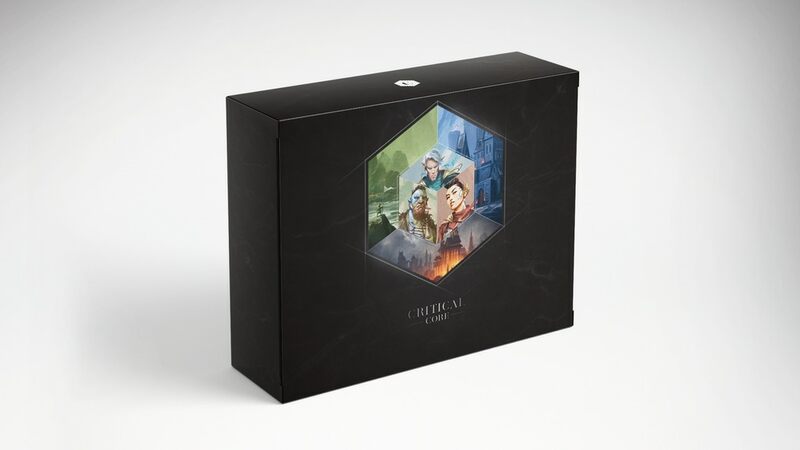 A lot of therapists I’ve known over my life have used games to aid in understanding yourself better and now Game to Grow, an organization of educators and therapists, has created a roleplaying game called Critical Core. The set is intended to not only provide a fun experience, but also a way for people with Autism to explore their feelings, and improve their empathy, frustration tolerance, creative problem solving abilities, and leadership skills. Critical Core’s presentation is on par with any modern rpg I’ve seen and I really like the game cards which provide details on monsters, spells, and items. This is a wonderful way to engage ideas of overcoming obstacles and becoming more confident with other people. The simplified system sounds like it also might be a good start for players who are interested in roleplaying but intimidated by more complicated systems. 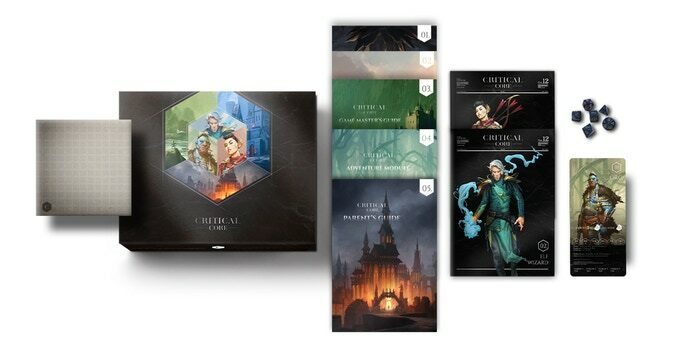 Check out Critical Core here on Kickstarter for more info. Quirky, prehistoric, and ready to brawl, the Dinosaurs in Dino Duel are ready to bring the thunder…lizard! Ok, puns aside, Dino Duel is a light card battler where players are trying to take out the most dinos as possible before the draw deck empties. I tried Dino Duel back at Toy fair and I have to say, the art really cracks me up and the gameplay is quick and easy to pick up. 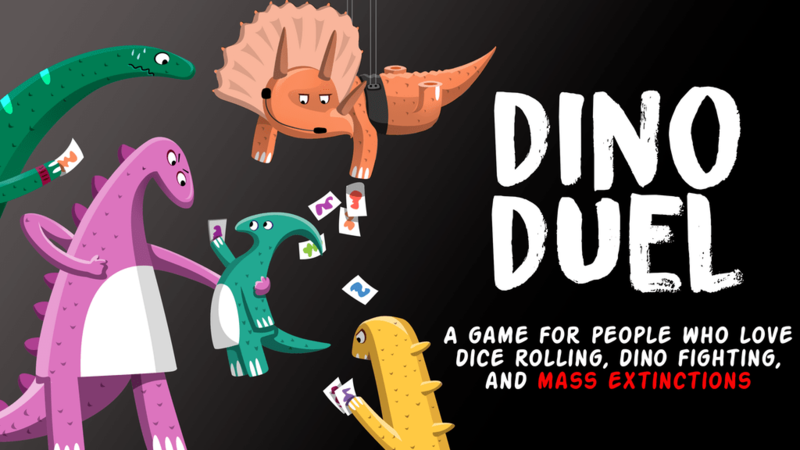 If you like silly, dinosaur-themed fun go check out Dino Duel on Kickstarter here.